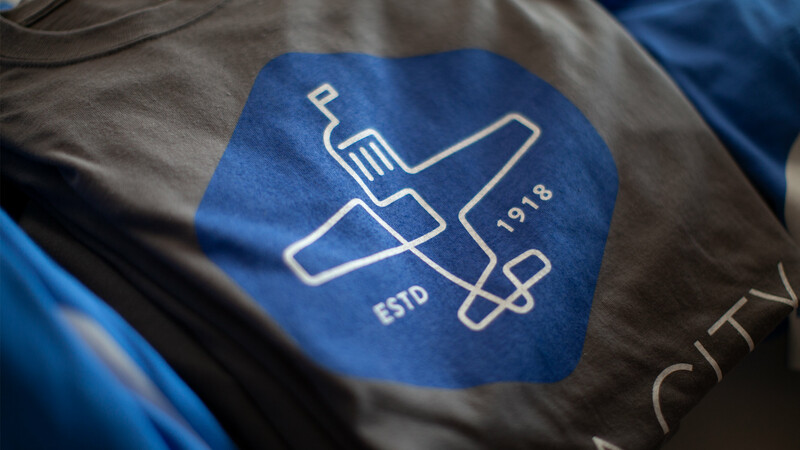 Those who get to know FUEL co-founder John Moes quickly discover his love of aviation. 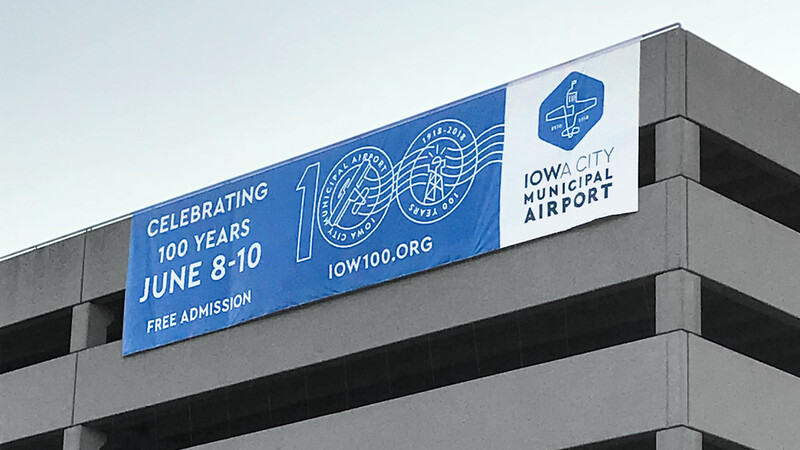 Needless to say, we were ecstatic when the opportunity presented itself to be a part of the 100-year anniversary celebration for the Iowa City Municipal Airport (IOW). 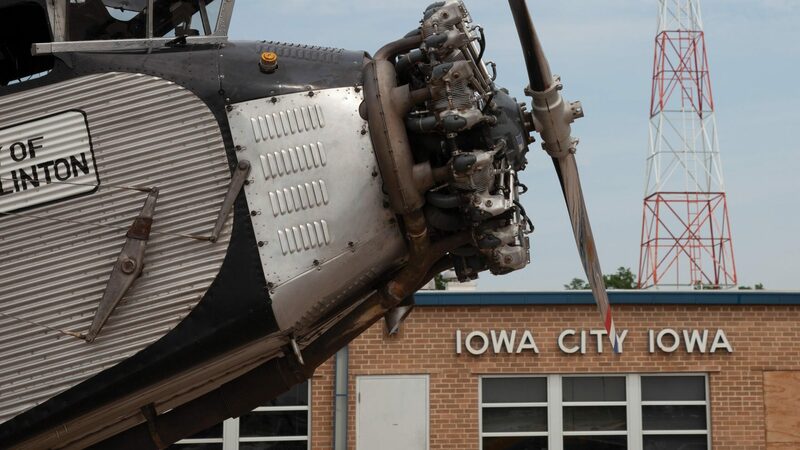 Our relationship with the team at the Iowa City Airport goes back a few years when we helped them promote Fly Iowa in 2014. But this challenge was much different than promoting an air show. Despite being one of the busiest municipal airports in the state, many people in the community are unaware of the airport’s storied history and the amazing things that have occurred there over the years. And even less so about the economic impact the airport currently brings to Iowa City. “If you dig into this airport and its history, you’ll discover it is the story of the building of a nation,” said John. 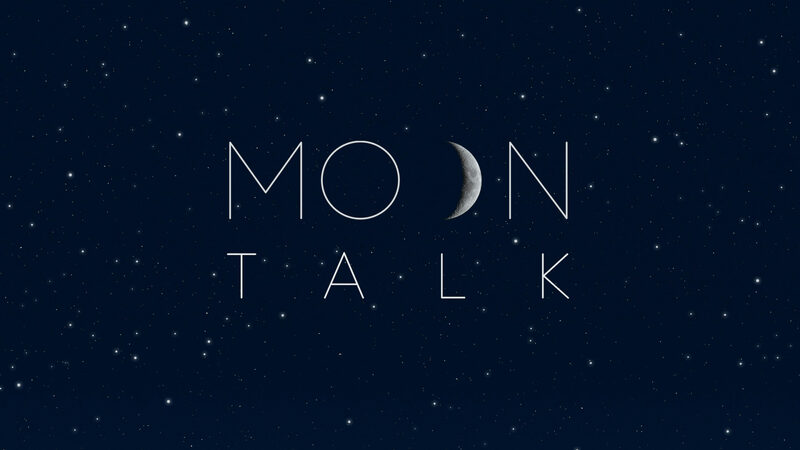 “But this event couldn’t simply look backwards. It had to inspire people while setting the stage for what’s to come,” he said. This led the team to the theme of IOW 100: “Celebrating the First Century of Firsts”. 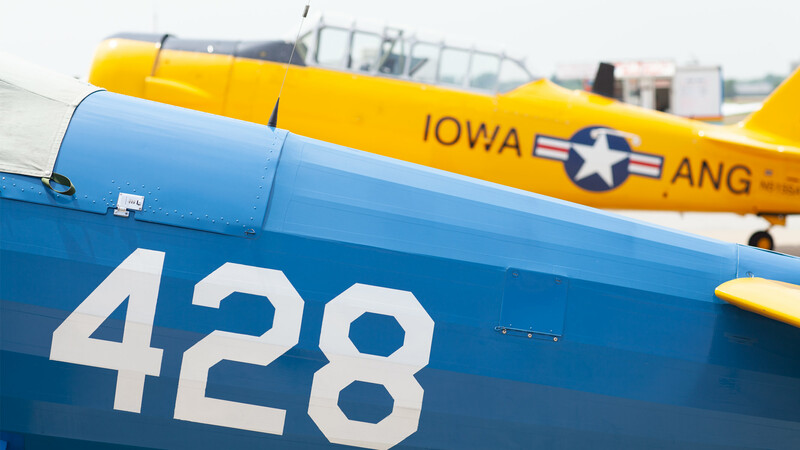 The event would open the airport to the public, demonstrate its value as an economic engine for the Iowa City area, give history its due, and let people experience things on their terms. 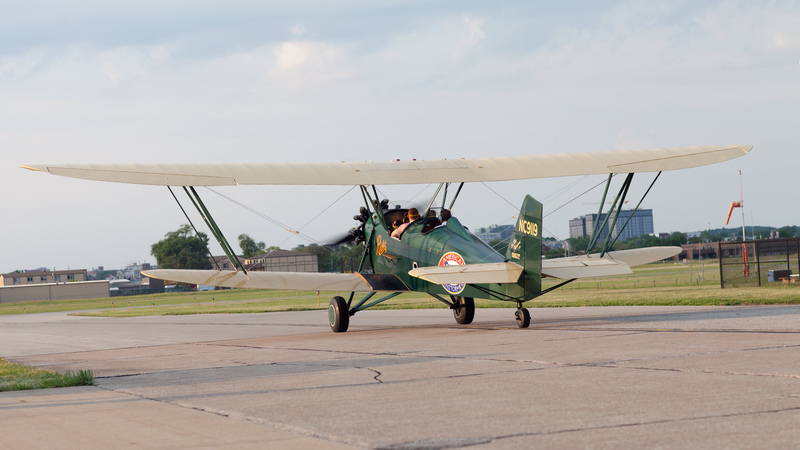 Guests got to experience a mix of old and new, where people could experience flight in the 100-year old Ford Tri-Motor commercial passenger liner or take an open-cockpit ride over the city in a New Advance biplane from the 1920’s. Airport guests were also treated to demonstrations of the latest drone technology. 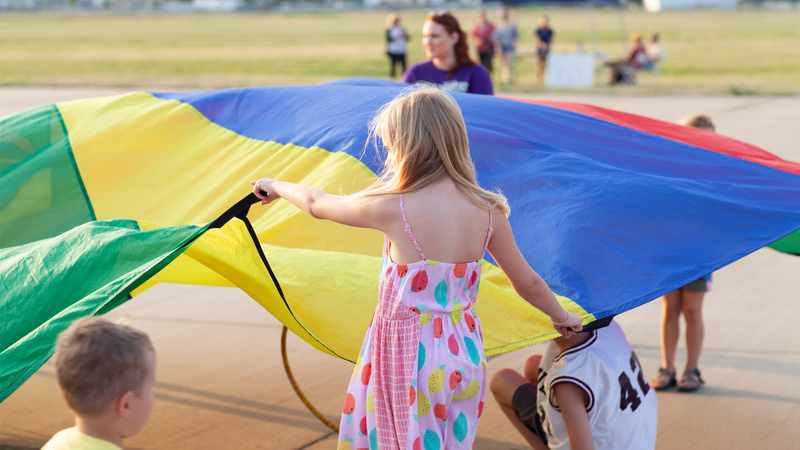 Kids could take their first ride in an airplane with an experienced pilot, learn about aviation with the Iowa Children’s Museum’s onsite activities or meet and chat with real-life balloonists. Meanwhile, adults could learn about first-rate services the airport provides to the community, including flight instruction, charter services, medical flights, and even job opportunities. Yet, the focus of the IOW100 event never drifted far from the airport’s incredible list of historical milestones and achievements. FUEL played a role in everything from branding to promotion for the event. 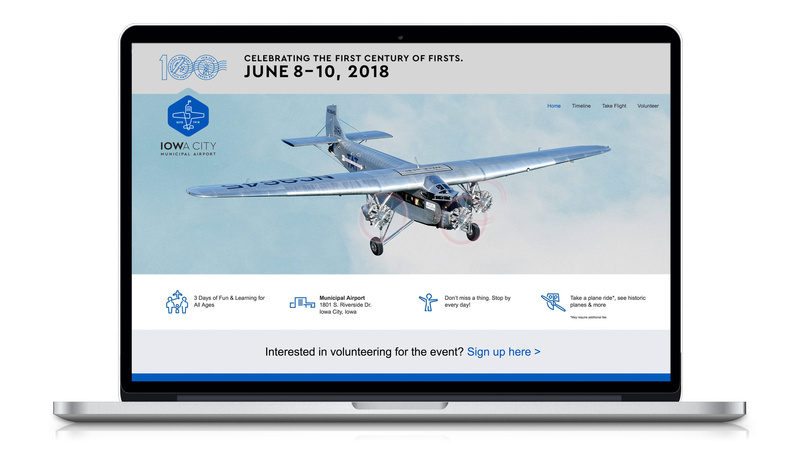 FUEL’s design and promotional messaging was featured online, in social media, on posters and environmental signage on site and around town and could even be found on balsa airplanes handed out to the kids and t-shirts sold to help support the cost of the event. Keep an eye out for a case study on the topic that digs a little deeper into the full range of work that went into making IOW 100 a success.